Include 100% pure & Natural Essential Oils of Spices. 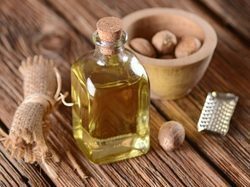 We are the leading manufacturer and suppliers of Nutmeg Oil. It is manufactured using good quality raw material keeping the best level of purity. Odour The odour is Warm, Spicy, and Aromatically Sweet with Pine odour. The taste is almost similar to Mace Oil. 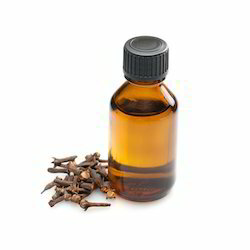 With thorough industry knowledge, we are engaged in manufacturing and supplying excellent quality Lit Sea Cubeb Oil. To process the offered oil, our expert professionals make use of high quality constituents that are sourced from reliable vendors of the market. 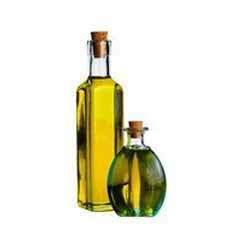 Furthermore, we customize this oil as per the requirements of our esteemed customers. 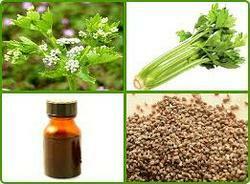 Our company has earned accolades in offering Parsley Seed Oil to the clients. Parsley Seed Oil is having chemical constituents including pinene, tetramethoxyally-benzene, apiol, myristicin, voliatil fatty acids. This product is steam distilled from short-lived perennial herb having bright green foliage and small greenish-yellow flowers. Offered range is used in cosmetics, colognes, soaps, detergents and perfumes. This product can also be blended with Cananga, Rose and Orange, Tea Tree, Spice Oils, Clary Sage and is used in food flavorings like in meats, sauces and alcoholic drinks by the valuable customers. 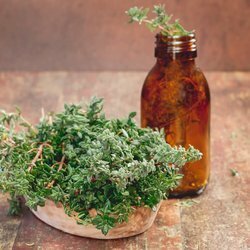 We are the leading manufacturer and suppliers of Thyme Oil. It is manufactured using good quality raw material keeping the best level of purity. 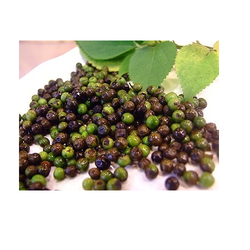 We are the leading manufacturer and suppliers of Curry Leaf Oil. It is manufactured using good quality raw material keeping the best level of purity. 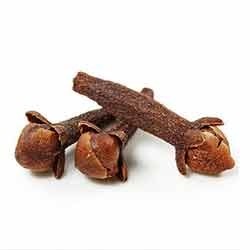 We are an eminent manufacturer and supplier of high quality Clove Oil. The chemical components used to formulate this oil include Eugenol, Eugenol Acetate, Iso-Eugenol and Caryophyllene. This potential oil is beneficial to the digestive system, effective against vomiting, diarrhea, flatulence, spasms and parasites. 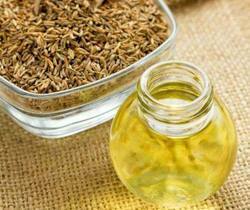 Innovation is our forte and we strive to manufacture and supply high quality Cumin Seed Oil. This oil is helpful for the nervous system as a tonic and relieves muscular aches & pains. Post-formulation, this oil is stringently tested on certain parameters of quality. Customers can avail our range at market-leading prices. 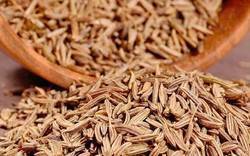 Cumin has an overpowering smell and should be used very sparingly, yet it is considered non-toxic, non-irritant and non-sensitizing. It does have photo-toxic qualities, so should not be used when the skin will be exposed to sunlight. People with a sensitive skin should avoid it and it should be avoided during pregnancy. Being a professionally managed manufacturer and supplier, we are engaged in offering our customers with COA DS Dill Seed Oil. This oil is processed using natural seed that is obtained from the accredited vendors of the industry. Keeping in mind the laid guidelines of the industry, these products are processed to attain highest benchmarks of quality. Odour Characteristic of the crushed fruit. Name Of Product : Pro. Piper Nigrum Dry Ext. Odor : The odor is Warm, Spicy, Aromatic, Balsamic-Woody, Increasingly Sweet & somewhat Camphoraceous. 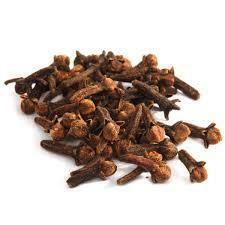 Its taste is Strong Aromatic, Pungent, Warm & Spicy. With the help of world-class infrastructure facility, we have been able to process and supply Caraway Oil. 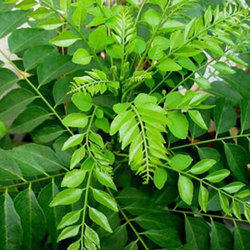 It is used as an expectorant, which helps in clearing bronchitis, bronchial asthma and coughs. Further, our oil is helpful in case of sore throats and laryngitis. We properly pack this oils using quality material to ensure its safety, during transportation. As an expectorant it helps clear bronchitis, bronchial asthma and coughs. 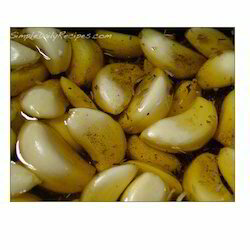 It is also helpful in cases of sore throats and laryngitis. Avoid in Pregnancy, Used after consulting with Aromatherapist. The fruits, usually used whole, have a pungent, anise-like flavor and aroma that comes from essential oils, mostly carvone and limonene. 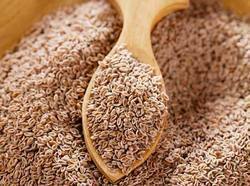 They are used as a spice in breads, especially rye bread. 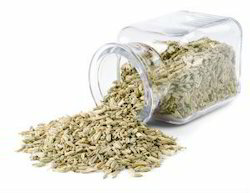 Caraway is also used in desserts, , casseroles, curry and other foods. 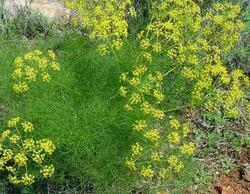 Caraway seed oil is also used as a fragrance component in soaps, lotions, and perfumes. Odour The odour is Aromatic characteristic Possessing a Strong & Peculiar typical of fruit. The taste is quit burring, warm & biting with reflection of Cumin. Main Constituents Carvone and Limonene also Acetaldehyde Furfural, Carvone, Dihydrocarveol Iso Dihydrocarveol, Perillyl Alcohol & Dihydropinol. 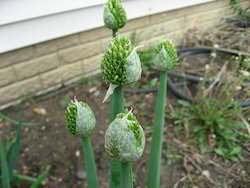 Botanical Source Allium Sativum L.
Solubility Soluble in Alcohol and other Organic solvents and in soluble in water. “Onion Oil” is obtained by solvent extraction of Alliun Cepa. 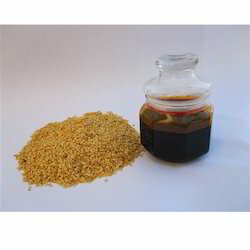 With the aim to provide finest quality, we are engaged in processing and supplying quality assured Red Thyem Oil. Used for fragrance purpose, this oil is processed under clean and hygienic environment conditions, using original red thyme. Available in various size of packs, this oil is provided at most competitive prices. Facilitated with state-of-the-art infrastructure facility, we have been able to manufacture and supply Anethi Oil. Slightly burring in nature, these products are formulated at our infrastructure unit which is laced with modern machinery. Furthermore, these products are tested in various parameters before dispatching to the customers' end. Odour The Odour Is Light And Fresh, Warm Spicy Reminiscent Of Caraway. The Taste Is Warm Slightly Burring But Pleasant And Aromatically Sweet. 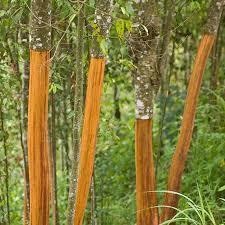 With the aid of modern production unit, we have been able to manufacture and supply Cassia Oil. Quality-approved ingredients are used in the processing process of these products that are obtained from the credible vendors of the industry. In order to ensure zero side effects, these products are checked on various parameters by our quality controllers. Odour The odour is Fresh dry-Woody, Warm, Spicy reminiscent. The taste is flat, somewhat dry-woody pungent biting & characteristic odour of recalling of whole Pepper. Main Constituents Alpha & Beta Pinene, Alpha Thujene, Camphene Sabinene, Beta Cryophyllene. Odor Characteristic of the crushed fruit. Weight per ml 0.895 to 0.910g. 0.907g. Supported by a team of dexterous professionals, we are engaged in processors and supplying Chilli Seed Oil. Offered oil is processed at our vast infrastructure facility, using high-grade ingredients that are sourced from the trusted vendors of the market. We also have a team of packaging experts, who pack the oil using quality material. Supported by a team of diligent professionals, we have been able to manufacture and supply Anise-H. Fluid liquid in nature, these products are processed in accordance with the industry set norms and guidelines. Prior to dispatch at the customers' end, these products are checked properly on various parameters. Freezing Point > 18° C.
Solubility Sparingly soluble in Water and Freely soluble in Alcohol Ether. 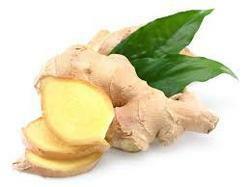 Botanical Source Zingiber Officianale R.
We are the leading manufacturer and suppliers of Ginger Oil. It is manufactured using good quality raw material keeping the best level of purity. Odour The odour is Fresh & Woody, characteristic odour of Fresh Ginger, Warm; Spicy the sweet & heavy under note is Tenacious Sweet & Rich almost Balsamic Floral. 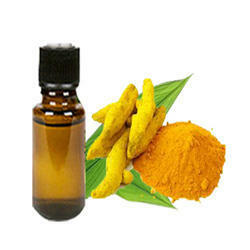 We are the leading manufacturer and suppliers of Turmeric Oil. It is manufactured using good quality raw material keeping the best level of purity. 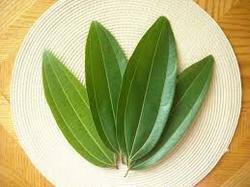 With firm commitment towards quality, we are engaged in manufacturing and supplying Cinnamon Leaf Oil. The oil offered by us is extracted from natural resources, which has enabled us to muster huge client-base across the domestic market. Moreover, cutting-edge techniques are used in the processing process. Odour Aroma with mixture of Clove like and Herbal notes. Solubility Soluble in Alcohol and other Organic solvents & in soluble in water. 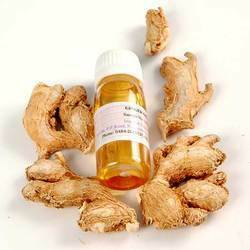 Our organization is counted amongst the most distinguished manufacturers and suppliers of finest quality Ginger Root Oil. The oil we offer is absolutely non-irritant and non-toxic. Also, it is used in the treatment of fractures, rheumatism, arthritis, bruising, carbuncles, nausea, hangovers, travel and sea sickness. Solubility Soluble in Alcohol and Oils and in soluble in Water. Understanding the demands of customers, we are engaged in manufacturing and supplying Celery Seed Oil. Burring and powerful in taste, these products are processed in adherence with the guidelines laid by the industry to attain highest benchmarks of quality. Post-production, these products are stored at our warehouse unit, which is segregated accordingly. 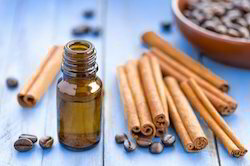 Applauded in the industry as one of the invincible manufacturers and suppliers, we are engaged in offering our customers with Cinnamon Bark Oil. We have hired a team of dexterous professionals who are well-versed in their respective domain and process the entire range with perfection. To cater to the variegated demands of customers, we offer these products in different sizes as per their specific demands. The chemical composition of bay oil includes; α-Pinene, β-Pinene, myrcene, limonene, linalool, methyl chavicol, neral, α-terpineol, geranyl acetate, eugenol and chavicol. Bay oils may cause liver toxicity, but this is unlikely to be due to skin absorption, as in massage. Owing to our rich industry experience, we are manufacturing and supplying finest quality Cinnamon Oil. The offered range is formulated under the close supervision of experienced professionals. These experts make use of high quality chemical components that are sourced from most trusted and reliable vendors of the market. Colour Clear Yellow colour. This oil becoming Reddish Brown with age. 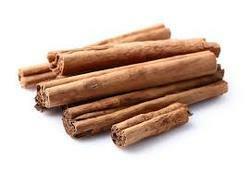 Odour Odour & taste of Cinnamon. 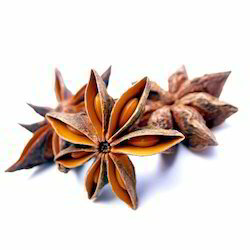 Color : Colorless to pale yellow Odor : The odour is Clean Sweet Aromatic dry out. Botanical Source : F. Vulgare Var. Vulgare (Umbelliferae) called “Fennal” in India. Looking for Spice Oil ?